Buying bathroom supplies online offer several advantages for homeowners. You can save time, pay quickly, search through a wide range of products and have everything delivered to your door, all without having to leave the comfort of your chair. However, before you purchase anything, make sure you familiarise yourself with the online store’s return and refund policies just in case something isn’t what you expected. Before you check out a big range of bathrooms from online suppliers, here are a few things to keep in mind when shopping for bathroom supplies online. Keep in mind that many online images are shot by professional photographers, and there may be a few alterations to colours and lighting. Be sure to read the description of an item carefully to find out what you need to know. Have you ever bought a stunning piece of furniture only for it not to fit where you wanted it to go? It happens to the best of us. So, before you even shop for bathroom supplies online, measure your space several times. Get the exact dimensions to determine the size of the sink, toilet, bath or shower you may be looking for. Also, remember the item will be shipped so it needs to fit your bathroom perfectly the first time to avoid any hassles with returns. Shopping online for bathroom accessories. Of course, you’re going to want to match bathroom accessories to your vanity unit and décor. For instance, if you’ve chosen a mirror for your bathroom vanity unit, make sure they match in colour or design (if the mirror has a frame). If you’d prefer to order cabinets, later on, to add to a stand-alone vanity unit, make sure you get the design, texture, colour and size just right. A shower or a bath – would you prefer the two combined or separate? Toilet – what type of toilet do you want? A wall mounted or back to wall one? Storage – where will you store your toiletries? Lighting – warm, soft lighting creates a more relaxing atmosphere in a bathroom whereas cool lighting works well if you will be applying your makeup in the bathroom. Heating – what kind of heating do you want in your bathroom? 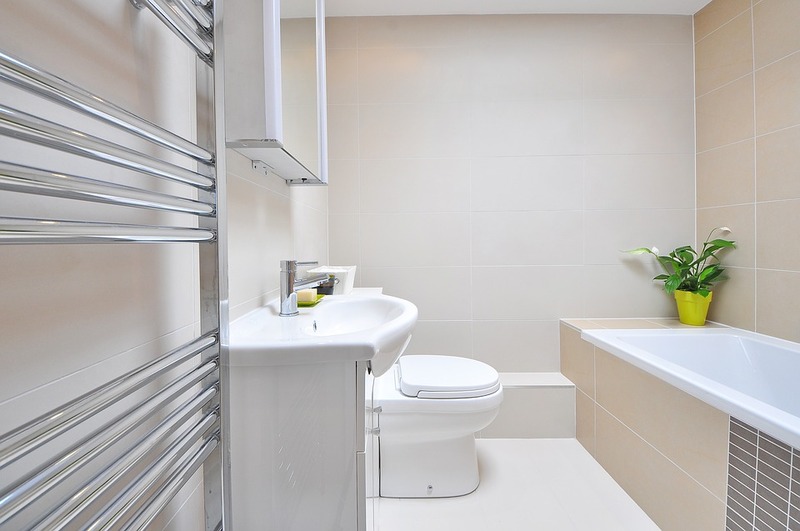 Towel radiators, underfloor heating and traditional radiators are just some of your options. When it comes to designing a bathroom and choosing the right supplies and accessories, your possibilities are virtually endless. But, you need to make sure you get everything right – from the correct plumbing and pipes to the right size of bath or shower. Buying your bathroom supplies online is certainly easier if you know what you’re looking for. These tips should give you an understanding of how shopping for supplies online works and what to consider before you checkout from the online retailer.